In a recent turn of surprising events, former UFC Heavyweight Champion Fabricio Werdum has been handed over two-year ban from Octagon competition for a potential violation from the United States Anti-Doping Agency. Fabricio Werdum made his UFC debut on the 21st of April, 2007 in a losing effort to veteran fighter Andrei Arlovski. Werdum, who despite picking up two wins over Gabriel Gonzaga and Brandon Vera, was eventually released by the UFC following another crucial loss to Junior Dos Santos. However, in 2011, Werdum was once again signed by the UFC and in his return fight on this occasions, the Brazilian fighter defeated Roy Nelson in a back-and-forth contest. Werdum subsequently earned himself a shot at the UFC Heavyweight Championship and also won the title belt at UFC 188 in Mexico by defeating Cain Velasquez via Submission. Werdum's last fight in the Octagon took place on the 17th of March, 2018 against Alexander Volkov, who defeated the former UFC Heavyweight Champion via fourth-round knockout. After initially being notified of a potential violation by the USADA, it has now been officially confirmed that former UFC Heavyweight Champion Fabricio Werdum will be serving a two-year suspension due to the illegal use of steroids. USADA announced today that UFC athlete Fabricio Werdum, of Redondo Beach, Calif., has tested positive for a prohibited substance and received a two-year sanction for his anti-doping policy violation. Werdum, 41, tested positive for trenbolone and its metabolite epitrenbolone following an out-of-competition urine test conducted on April 25, 2018. Trenbolone is a non-Specified Substance in the class of Anabolic Agents and prohibited at all times under the UFC Anti-Doping Policy, which has adopted the World Anti-Doping Agency Prohibited List. 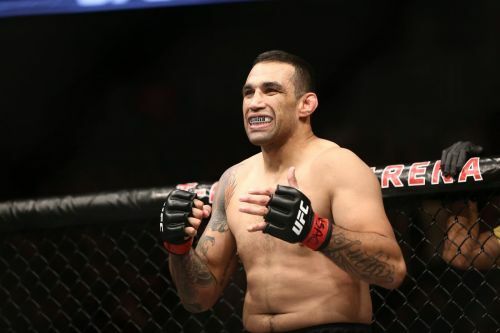 Werdum’s two-year period of ineligibility, the standard sanction for a first offense involving a non-Specified Substance, began on May 22, 2018, the date his provisional suspension was imposed. USADA conducts the year-round, independent anti-doping program for all UFC athletes. USADA is an independent, non-profit, non-governmental agency whose sole mission is to preserve the integrity of competition, inspire true sport, and protect the rights of clean athletes. In an effort to aid UFC athletes, as well as their support team members, in understanding the rules applicable to them, USADA provides comprehensive instruction on the UFC Anti-Doping Program website (UFC.USADA.org) regarding the testing process and prohibited substances, how to obtain permission to use a necessary medication, and the risks and dangers of taking supplements (Supplement411.org) as well as performance-enhancing and recreational drugs. In addition, the agency manages a drug reference hotline, Drug Reference Online (UFC.GlobalDRO.com), conducts educational sessions, and distributes a multitude of educational materials, such as an easy-reference wallet card with examples of prohibited and permitted substances, an athlete handbook, and periodic alerts and advisories. , by phone at 1 877-Play Clean (1-877-752-9253), or by mail. As aforementioned, Fabricio Werdum's suspension is dated to be lifted on the 22nd of May, 2020 and the former UFC Heavyweight Champion will not be allowed to compete inside the Octagon till then. UFC 68: What happened when Randy Couture came out of retirement to fight for the Heavyweight Championship? UFC 226: What happened when Brock Lesnar confronted the winner of the Heavyweight Championship fight?